Estate Tax in Washington: Should You Pay? 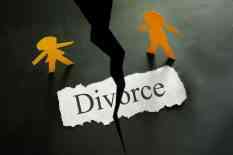 Divorce can bring so many emotions, especially when both the husband and the wife had a bad marriage. The feelings of anxiety, grief, and fear are normal, but remember that the intensity of these emotions will eventually subside. If you are in the process of going through marriage dissolution, it is best to be calm and don’t beat yourself up.